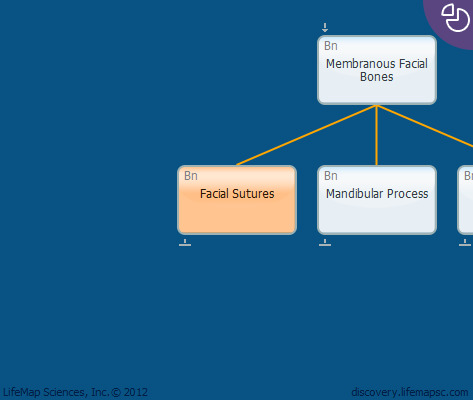 Facial sutures are fibrous, elastic tissues which connect developing skull bones. Their primary role is to serve as bone growth centers, by maintaining a pool of undifferentiated osteogenic cells while simultaneously producing new bone cells. The new bone cells form ossification fronts. The sutures disappear within approximately two years of birth in humans resulting in bone fusion. Include the coronal, lambdoidal, sagittal, sphenoidi and squamo-parietal sutures.